It’s inspiring and heartwarming to know that even at 65, an aged and decrepit rocker can still find a loving woman 30 years his junior to marry him for his money. 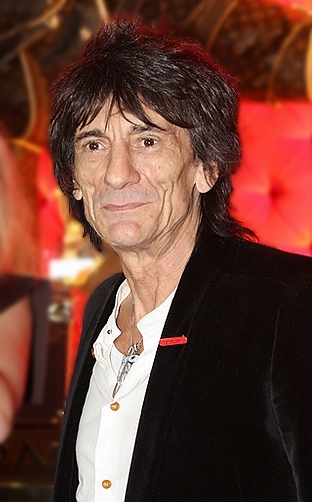 Longtime Rolling Stones guitarist Ronnie Wood walked down the aisle for the third time with 34-year-old theatre producer Sally Humphries. The London wedding was attended by Paul McCartney and wife Nancy Shevell as well as Rod Stewart and his wife Penny Lancaster. The three rock stars all expressed gratitude that they possessed enough capital to find true, meaningful love, and how wonderful life was with a beautiful, younger women to share their massive assets with. While the bride Sally, Nancy and Penny spoke in hushed tones to each other about their hopes for a good flu season. This entry was posted in The Box and tagged Rolling Stones, Rolling Stones Ronnie Wood, Rolling Stones Ronnie Wood Marries, Ronnie Wood Married, Ronnie Wood Marries, Ronnie Wood Marry by thevadge. Bookmark the permalink.